The Angriest: What went wrong with Jack Ryan: Shadow Recruit? 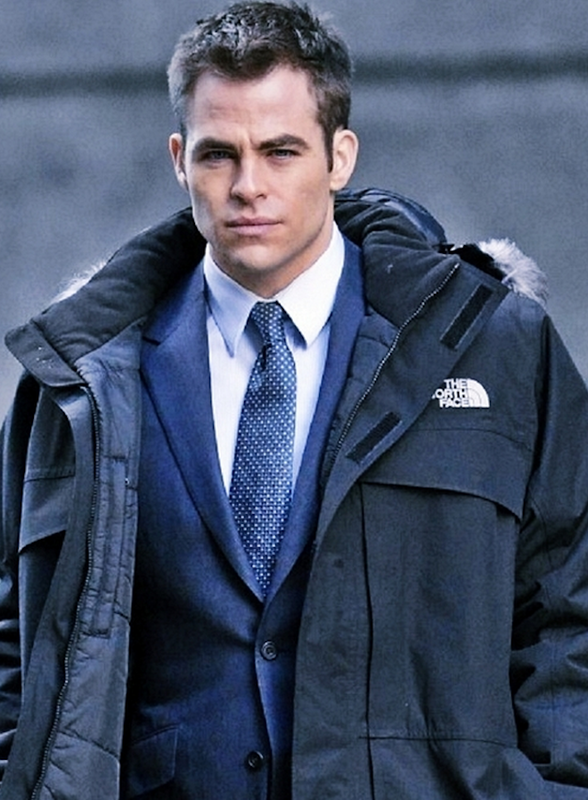 Paramount's spy thriller Jack Ryan: Shadow Recruit was intended to relaunch one of the studio's key franchises. Instead it's simply failing to capture audiences. It premiered in the USA last weekend in fourth place, grossing just US$15.4m, a far cry from what Paramount executives would have hoped. Even without taking inflation into account, it is the lowest-grossing opening in the USA for any of its Jack Ryan films. It lags behind The Hunt for Red October ($17.2m), Patriot Games ($18.5m), Clear and Present Danger ($20.3m) and particularly behind The Sum of All Fears ($31.2m). Without a unexpectedly long tail, or huge international box office, this is probably the last Jack Ryan movie to get made. Of course, adjusted for inflation the film's performance looks even worse. In today's terms, the four earlier films' openings would be $29.8m (The Hunt for Red October), $29.8m (Patriot Games), $31m (Clear and Present Danger) and $39.5m (Sum of All Fears). So it's fair to say that Shadow Recruit has performed about half as well as its predecessors. What went wrong? There are some potential reasons. Now I have not yet seen Shadow Recruit, so let's use Metacritic and Rotten Tomatoes as our guage on how good the film is compared to the others. Shadow Recruit is currently scoring 58% and 63% from each website, which is certainly lower than The Hunt for Red October (96% on Rotten Tomatoes) and Clear and Present Danger (74% and 82%). On the other hand, it's better than The Sum of All Fears' 45% and 59%, and that film not only opened twice as big but also grossed US$193.9m worldwide. It's more than 11 years since The Sum of All Fears opened in cinemas, and many of today's moviegoers may not be aware of the earlier films or the Jack Ryan character. I was in a DVD store a few days ago and overhead a teenager remarking with shock to his mother that a Jack Ryan boxed set was on sale, since the film wasn't even in cinemas. That there were four other films featuring the character was news to him. It was bold of Paramount to put Chris Pine in the title role, given that he's still very much an unproven talent. Audiences seem to like him when they see him, but we haven't seen until now how much of a box office draw he is by himself. With the opening they had, I'm guessing he's not as much a draw as Ben Affleck was in 2002 or Harrison Ford was in 1994. January is usually a dead zone of counter-programming and movies so bad that the studios are just trying to dump them off their release schedules. Shadow Recruit was originally scheduled for release just before Christmas, but was shifted to January to make room for The Wolf of Wall Street. I suspect had Paramount just held back for another two months and opened in March, they'd have grossed an extra $15m in that first weekend. Releasing in January in the USA gives a film an automatic stink of death. The first four Jack Ryan films were all adapted from bestselling novels by Tom Clancy. For this new film they simply adapted the character to an all-new storyline. Had they found a way to adapt one of the other Clancy books, they might have been on more of a solid promotional footing. They were originally going to call the film Jack Ryan. Then John Carter flopped and Jack Reacher underperformed, and so in their rush to find a less risky title they went with the oddest route possible: adding a vague post-colon subtitle of Shadow Recruit. It just sounds meaningless. Worse than that, it makes the film sound cheap. Jack Ryan dates from a time when the Cold War was still rocketing along, and audiences really went for two-inch think military thrillers that they could buy from airports. That generation of high-concept action-oriented novel, typified by Clancy, Clive Cussler and Michael Crichton, has kind of died. It may just be that audiences didn't care about Jack Ryan: Shadow Recruit because audiences don't care about Jack Ryan. Finally, it's possible that rebooting the character for a second time was a dreadful mistake. The core audience for Jack Ryan is only getting older. Somebody who was 20 when The Hunt for Red October hit cinemas turns 42 this year. The sort of cinemagoer likely to want to see an intelligent thriller about the CIA is probably not the sort of cinemagoers specifically attracted to seeing Chris Pine. Certainly the age breakdown for Shadow Recruit's opening weekend suggests that it was older viewers who went to see it. Younger audiences flocked to see Ride Along instead. Whatever the reason, it's going to take a miracle for Jack Ryan: Shadow Recruit to get a sequel. With Tom Clancy dead, the novels nowhere near as popular as they once were, and audiences abandoning the latest instalment this is one franchise that looks severely unlikely to return to life.